Pakistan, the world’s leading terror sponsor and haven, loves to calls itself a victim of terrorism, with President Asif Ali Zardari going to the extent of saying his country is “perhaps the world’s greatest victim of terrorism.” More than $3.2 billion in annual U.S. aid has not been enough to persuade Pakistan to sever its rogue links with terrorists or slow down its rapidly expanding rogue nuclear-weapons programme. Instead, Pakistan has created a convenient narrative of victimhood at home to help cloak its self-deception. The terrorist assault on Pakistan’s main naval air base is a chilling reminder that those who play with fire will get burnt and, ultimately, be consumed by fire. The attack was carried out in the coldblooded, professional style taught by Inter-Services Intelligence to its proxies, including those that struck Mumbai in November 2008. Having created a terrorist manual and a sprawling terror infrastructure, the Pakistani military and its spy agency are now reaping a bitter harvest. The Pakistani Taliban, which staged the attack on the naval base in Karachi, is the illegitimate child, like the Afghan Taliban, of the Pakistani military establishment. The difference is that the Pakistani Taliban has become the principal nemesis of the Pakistani military, whose favourite proxies now are the Afghan Taliban headed by the one-eyed Mullah Omar, Sirajuddin Haqqani, head of the eponymous network aligned with the Afghan Taliban, and Hafiz Saeed and his Laskhar-e-Taiba. While continuing to provide succour and sanctuary to the Afghan Taliban, the Pakistani military has waged offensives in Bajaur, Mohmand, Buner and other tribal districts against the Pakistani Taliban. It was at Pakistan’s instance that a U.S. missile strike killed that group’s chief, Baitullah Mehsud, in August 2009 — a slaying that prompted his successor, Hakimullah Mehsud, to orchestrate a suicide bombing of a CIA base in southeast Afghanistan in late 2009 that killed five agency officers and two American contractors. The more the Pakistani military has gone after the Pakistan Taliban, the more the latter has retaliated against the former, staging daring attacks on Pakistani military and ISI facilities across the country, including on the army headquarters in Rawalpindi in 2009. More important, these attacks, including the latest, have been aided by elements within the Pakistani military establishment. 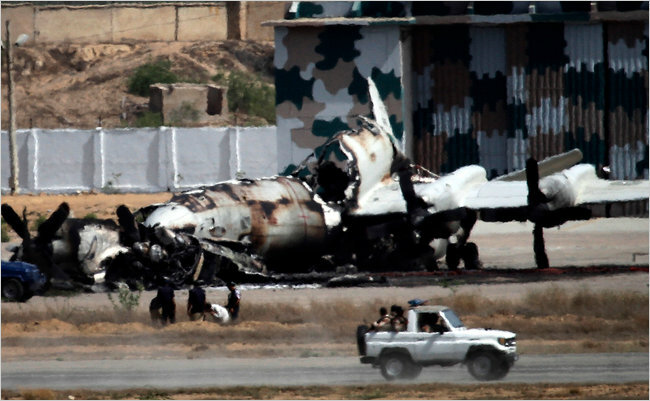 Without such insider support, the attackers simply would not been able to deeply penetrate the naval air base, easily locate key targets, and systematically wreck installations and aircraft, including two P-3C maritime surveillance planes. The P-3C aircraft, along with Harpoon anti-ship missiles and F-16s, have been supplied by the U.S. to help counterbalance conventional Indian military power. The insiders’ role highlights a larger concern — the jihadist threat to Pakistan’s nuclear weapons (its “crown jewels”) comes not from non-state actors but from within the jihadist-infiltrated military, nuclear and intelligence establishments. In fact, the more Pakistan has begun to look like a failing state, the more it has accelerated its nuclear-weapons programme. Nuclear weapons are for deterrence, they are not an answer to failed national-building, which is what Pakistan confronts. Yet Pakistan values nuclear weapons more for their political utility than their military utility. Let’s be clear: Nuclear weapons have not prevented Pakistan’s slide into a jihadist dungeon. Nor can they stop Pakistan from imploding. Today, the very viability of Pakistan as a nation-state is at stake. In its existing frontiers, Pakistan has proven an ungovernable and unmanageable state. China and the U.S., however, continue to prop up the Pakistani state in different ways. A reminder of that was the presence at the Karachi naval base of six Americans and 11 Chinese aviation engineers who escaped unharmed during the terrorist assault. To ensure that the Pakistani state does not unravel, the U.S. has kept sending more money to Islamabad, turning it into the largest recipient of American aid in the world. China has played a more dubious game. This is best illustrated by its actions in the aftermath of the Osama bin Laden affair, which caught the Pakistani military with pants down. To blunt U.S. pressure on Pakistan and tie down India, it has decided to gift Islamabad a second batch of 50 JF-17 fighter jets and agreed to run Gwadar port, which Pakistan now says will double up as a Chinese-built naval base. After repeated denials by Islamabad and Beijing that the Gwadar project had any military or strategic significance, the mask has finally fallen. Brahma Chellaney is the author of Asian Juggernaut (Harper, New York) and Water: Asia’s New Battlefield (Georgetown University Press, forthcoming).